“It was like hell in a rough sea made of shell holes,” so recorded Lieutenant Basil Henriques of his tank advance at the Battle of Flers-Courcelette, the Somme, on 15 September 1916. It was on this day that tanks were used for the first time in an en masse attack. While it was not the case that no fighting vehicles existed at the outbreak of war in 1914, the need for a new fighting vehicle soon became apparent: the ditches separating the forces in the Western Front proved an insurmountable barrier creating stalemate. 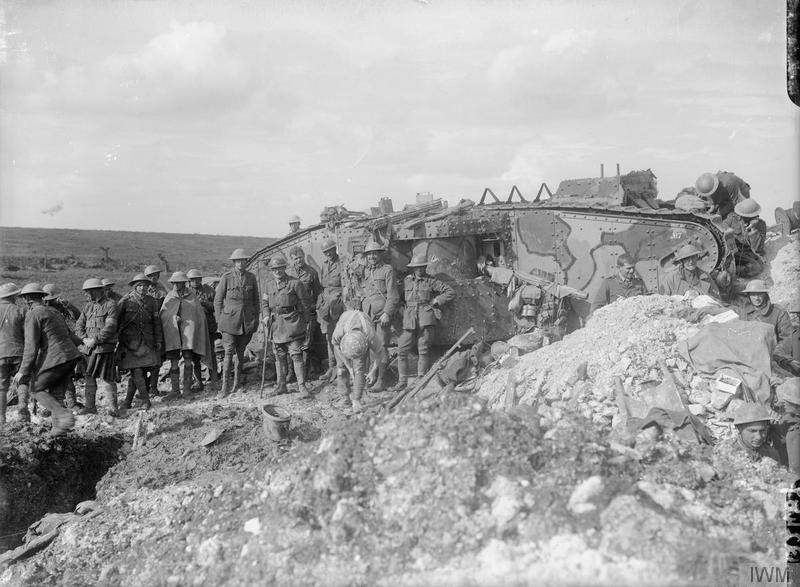 The light armoured vehicles in existence could not cope with the terrain of the Western Front. 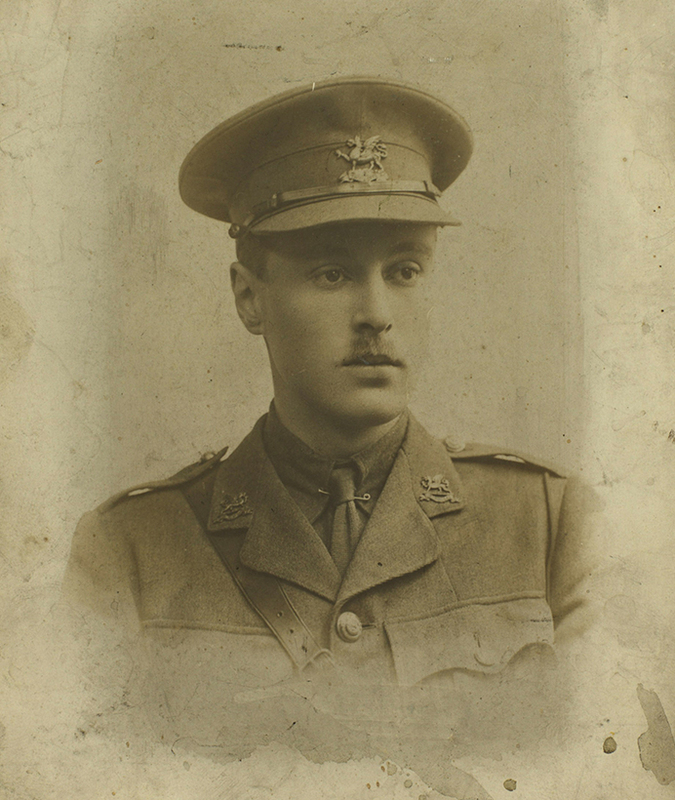 The development of a new fighting vehicle that might cross such terrain, breaching the trenches, was at the instigation of Lieutenant Colonel Ernest Swinton. The inspiration came from farming vehicles using caterpillar tracks and early designs were based around Holt tractors. Called Mark 1, the first tanks were built in two types: the “Male” with two Hotchkiss 6-pounder guns and 4 machine guns and the “Female” carrying 5 machine guns. Their best top speed was 4 miles per hour, but this was rarely achieved on the battlefield and infantry often moved faster. The tanks were crewed by an officer, 3 drivers and 4 gunners in internal conditions of heat, noise and exhaust from engine and violent movements of the tank that were appalling. Early models also proved to be mechanically very unreliable and vulnerable to shellfire. Yet despite any shortcomings, the initial appearance of the tank caused alarm to the German forces. On arrival in France the deficiencies of this training soon became apparent. The tank crew had no experience of working with the infantry, with whom they were to fight at the Somme, had never driven the tanks with the flaps closed nor used the periscope and had only driven with a clear view ahead over perfectly even ground. The tank moved fairly well on good ground, but difficulties arose when it needed to turn as it had to halt, making it a target, and gears often jammed in the process. While the surprise and, in some cases effect, of the tanks helped the attack at the Battle of Flers-Courcelette, they did not prove the decisive factor. They helped break into an enemy position but did not break through the enemy lines. Nevertheless, the potential of the tank as a weapon was recognised and with the action of 15 September 1916 a new era of warfare was begun. A memento from the battle, one of the glass shards that injured Henriques, and which he then had set in stone in a ring for his wife, will be on show at the Tank Museum in Dorset as part of an exhibition marking the centenary of the tank. The regiment that was to become the 12th Lancers was originally raised in 1715. It served with distinguish in various conflicts. Yet while the appearance of cavalry made an impression in South Africa in the 1850s, the Lancers weaponry did not prove the most suitable for the warfare being undertaken. As a result of the Russian economy being on the brink of collapsing and Tsar Nicholas II’s abdication, Russia was forced to withdraw itself from the war. Following the Bolsheviks accession to power in Russia in November 1917, Vladimir Lenin approached the Central Powers to arrange an armistice. The first cease fire agreement in the run up to the armistice was made on 4 December 1917 between the Russians and the Germans on the Eastern Front. The second cease fire agreement included all Central Powers and was signed on 5 December 1917. The final armistice was signed on 15 December 1917, which signified Russia’s intention to leave the war permanently and begin peace negotiations. Following the capture of Badajoz and Ciudad Rodrigo in 1812, Wellington advanced into Spain where he was confronted by Marshal Marmont, commanding the army known as the “Army of Portugal”. In the weeks and days leading up to their engagement at the battle of Salamanca, on 22 July, the two armies often marched close together with Marmont continually outmanoeuvring Wellington’s forces and threatening the Allied supply line. As a result of numbers of volunteers falling to approximately 80,000 per month after the Dardanelles expedition, the government felt forced to intervene. Initially the ‘Derby scheme’ was introduced, which involved door-to-door visits to gather men to serve if needed, with assurance that bachelors would be called up before married men. However, this measure proved inadequate and in January 1916 the Military Service Act was introduced. 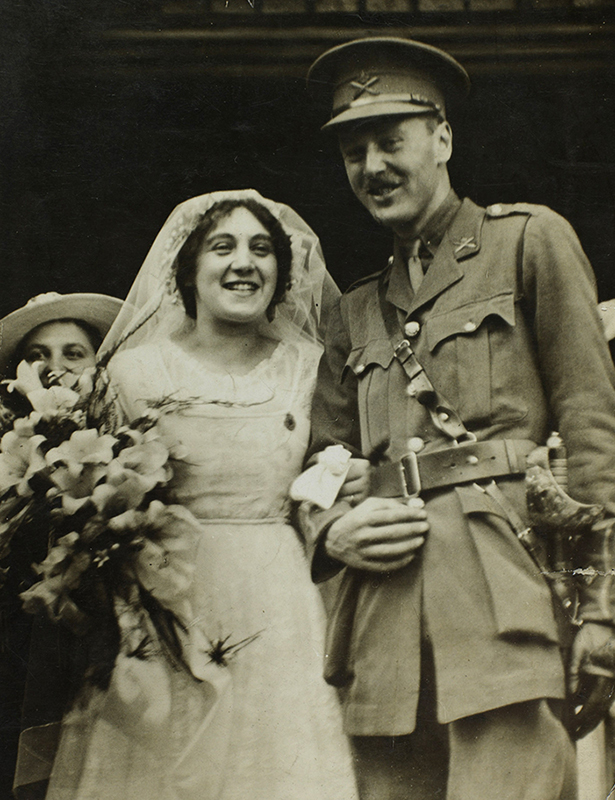 It introduced conscription of single men aged 18-41, extended to married men in May of that year. In December 1850 there was another outbreak of hostilities in the ongoing Cape frontier wars, in this case created in part by the policies imposed by the British Governor Sir Harry Smith. Chief Maqoma of the Xhosa led a guerrilla campaign in the valleys and forested mountains of Waterkloof against the British. From this base he was able to plunder surrounding farms and torch homestead. Maqoma inflicted heavy losses on forces under Sir Harry Smith’s command, notably that of the 74th Highlanders. By early 1852 George Cathcart was sent to replace Smith, taking up command in March. His brief was to crush the insurgents, a task he applied himself to with dedication and by February 1853 the chiefs surrendered. Captain Edward Wellesley’s letters give insights into the way the realities of warfare in the Cape. The Battle of the Piave River was the last major attack by the Austro-Hungarian army in Italy in World War One. As a result of Russia withdrawing itself from the war, Germany turned to Austria-Hungry to contribute resources to defeating Italy. Despite German-aided operations being a success at Caporetto in 1917, the troops of Austria-Hungary were in a different condition in 1918. As well as supplies being low, so was morale. Nevertheless, commanders of the Austria-Hungary force favoured an attack. As General Diaz had learned of the exact timing of the Austrian attack, the Italians were well prepared: increasing their numbers along the Piave and receiving shipments of arms from Allied munitions factories. Italy achieved a great victory whilst Austria’s troops suffered 60,000 deaths and 90,000 wounded. Towards the end of the Second World War in June 1944 the Germans started to send V1 Flying bombs, often referred to as ‘Doodlebugs’, to bomb London. These were essentially a bomb with wings, like an aeroplane without a pilot. They flew until they ran out of fuel and then either dropped instantly or glided towards the ground where they would explode upon impact. Thousands were launched against London and they generated huge levels of fear. If the engines could be heard, then most people stopped moving to allow some distance to develop, but if the engines cut out before they reached where an individual was standing, they could not be sure the doodlebug would not drop or glide towards to them. Following the Battle of Waterloo, Wellington sent his official dispatch to England on 19 June 1815. It was published in the London Gazette on 22 June. A letter sent to Denis Pack from Brighton, on 26 June, expresses relief on hearing that he has not been killed. The correspondent also anticipates the official publication of the losses that have resulted from the campaign. “I congratulate you most heartily upon what has passed; and upon the very distinguished share you have (as usual) had in the business. It has been a most glorious victory: indeed I think quite as much so as England has ever had to boast. Our loss seems to have been very severe; tho, even yet, we here do not know the exact extent of it. Of course we are most anxiously looking for returns, and are somewhat surprised they have not yet been published; and cannot help conjecturing their dismal length makes government tardy in their publication.